A stakes sire in his first crop, A Reagal Eagle, will stand the 2019 season at Armstrong Equine Services for a fee of $1,250. LOGAN, UT—MARCH 27, 2019—Peterson Stallion Farm, LLC announced today they have purchased Grade 1-placed Reagal Eagle, a son of leading sire One Famous Eagle. Already a stakes sire in his first crop to race, Reagal Eagle will remain a New Mexico-Bred stallion in 2019 and will stand for a fee of $1,250, including farm and booking fee, at Armstrong Equine Services near La Mesa, New Mexico. In his first crop of limited starters in 2018, Reagal Eagle is the sire of stakes-placed Six Packin Eagle SI 90 ($8,060 at 2, 2018, 3rd-All American Congress Futurity), Regal Candy (winner at 2, 2018, $14,944), Our Little Eagle (at 2, 2018, $2,742), etc. 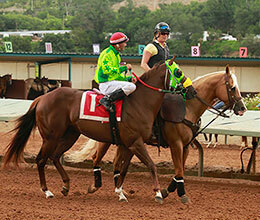 At the racetrack Reagal Eagle won or placed six of 10 career starts and earned $467,790. He was second in the Grade 1 All American Futurity(G1), a finalist in the Rainbow Futurity(G1), Corona Cartel Stakes at Ruidoso Downs and the West Texas Juvenile. His sire, AQHA Racing champion One Famous Eagle SI 101 ($1,387,453) his sired 62 stakes winners, 6 champions and earners of over $27.6 million in only eight crops to race. One Famous Eagle's top performers including world champion All America Futurity(G1) winner One Dashing Eagle SI 98 ($2,079,065), 4-times champion and All American winner Imperial Eagle SI 06 ($1,868,151), 2-times champion and All American Derby(G1) winner Hotstepper SI 98 ($1,334,566), 2018 world champion and Champion of Champions(G1) winner Bodacious Eagle SI 103 ($1,293,444), champion and current leading first-crop sire Hes Relentless SI 108 ($616,380), etc. 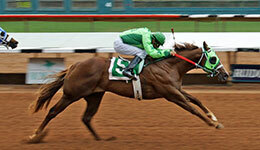 Reagal Eagle hails from one of the industry's leading female sire lines. His dam is the grade 1-placed Corona Cartel mare Corona Deluxe SI 94 ($168,135), dam of 12 ROM, 11 winners, 6 black type including multiple stakes winner County Boy Deluxe SI 105 ($161,796), multiple stakes winner Eagle Deluxe SI 98 ($97,947 to 3, 2018), multiple stakes winner Alakazaam SI 102 ($97,523 to 4, 2018), grade 1-placed Reagal Eagle SI 105 (see above), RG2-placed Gamepatriotdeluxe SI 102 ($70,300), stakes-placed and grade 1 finalist Fantsy Pants SI 92 ($22,403), etc. 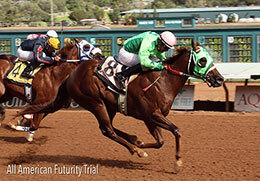 The second dam is the grade 1-placed First Down Dash mare First Down N Surfin SI 97 ($290,581, third in the All American Futurity(G1). She is a sister to RG3 winner Harbor Beach SI 111 ($129,371), Broodmare of the Year and grade 3-placed Runaway Wave SI 105 ($79,183), stakes-placed Curls Girl SI 93 ($54,055), grade 2-placed Captain Nueveo SI 95 ($56,639), stakes-placed Igofast-TB ($143,043). From only 3 starters, First Down N Surfin produced grade 1-placed Corona Deluxe SI 94 (see above) and she is the granddam of grade 2-placed Capital Ice SI 96 ($94,450 to 3, 2018), stakes-placed Days Gone Down SI 103 ($63,578 at 2), stakes-placed One Fantastic Gal SI 91 ($51,452), etc. This is the immediate family of world champion and multiple stakes sire Wave Carver SI 104 ($1,005,948), 3-times champion and champion sire Ocean Runaway SI 105 ($1,642,498), grade 1 placed and leading Louisiana sire Sir Runaway Dash SI 97 ($120,706), etc. For additional information or breeding contracts contact Joe B. Armstrong, PHD, at (575) 202-0080 or Hans Peterson at (435) 770-3656.